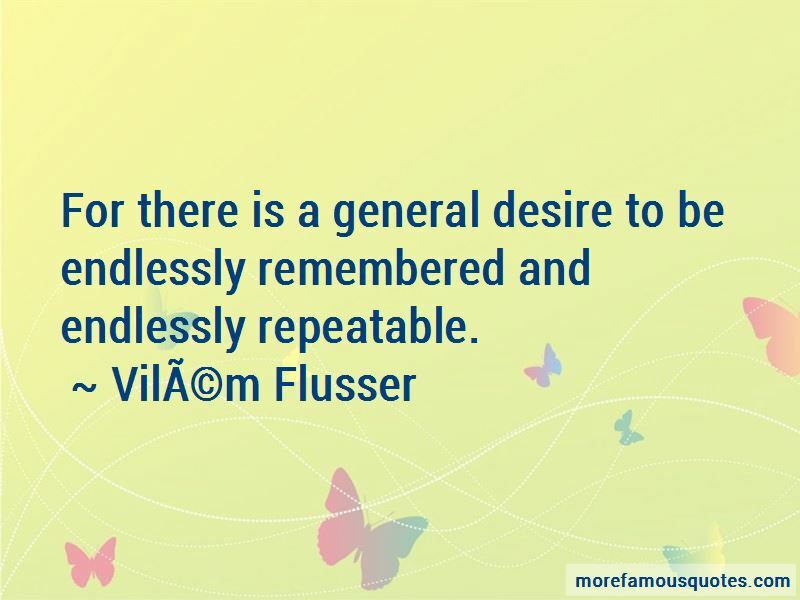 Enjoy the top 8 famous quotes, sayings and quotations by Vilem-Flusser. Both those taking snaps and documentary photographers, however, have not understood 'information.' What they produce are camera memories, not information, and the better they do it, the more they prove the victory of the camera over the human being. 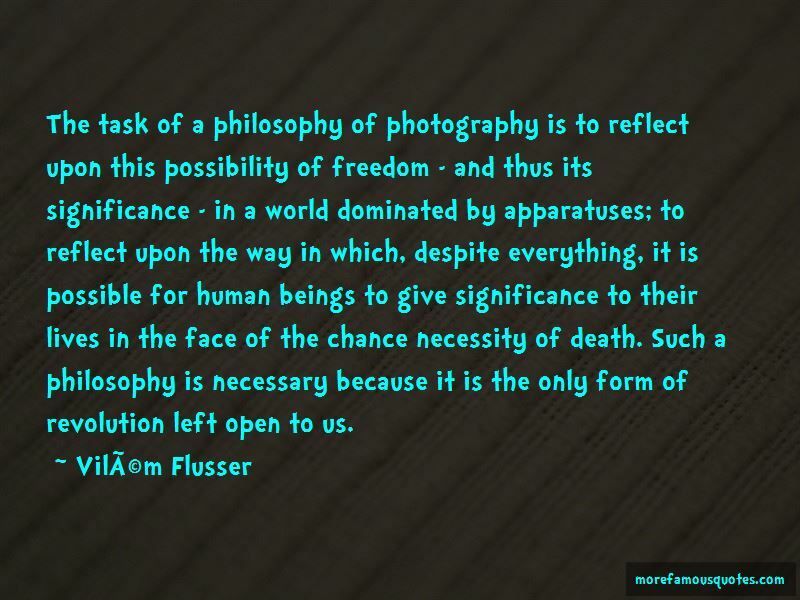 The task of a philosophy of photography is to reflect upon this possibility of freedom - and thus its significance - in a world dominated by apparatuses; to reflect upon the way in which, despite everything, it is possible for human beings to give significance to their lives in the face of the chance necessity of death. Such a philosophy is necessary because it is the only form of revolution left open to us. For there is a general desire to be endlessly remembered and endlessly repeatable. 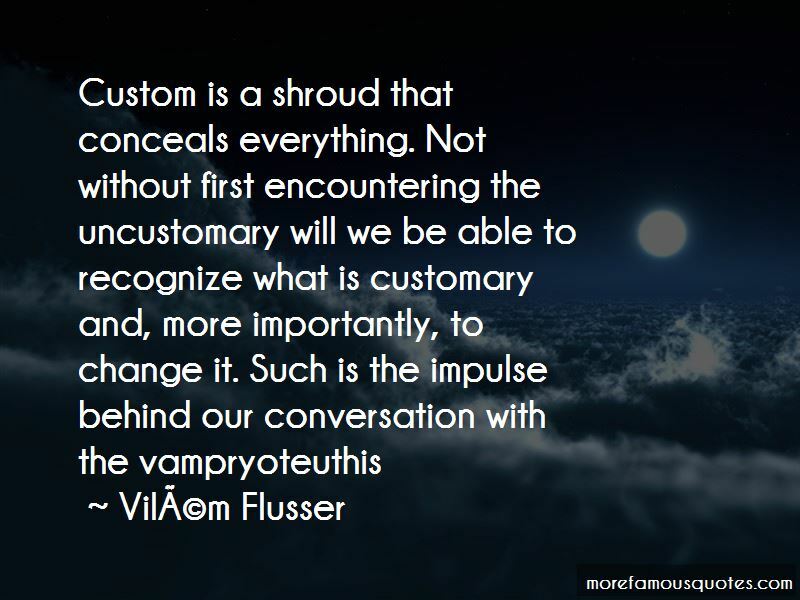 Want to see more pictures of Vilem-Flusser quotes? 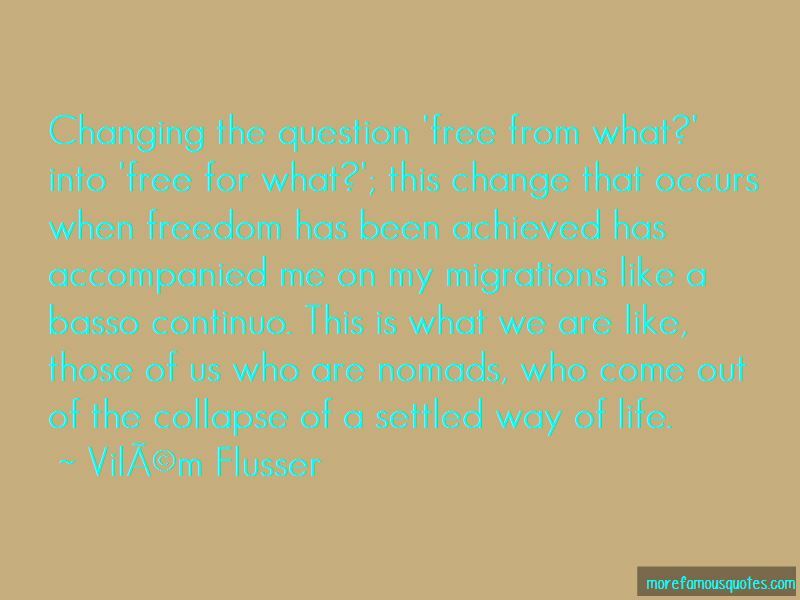 Click on image of Vilem-Flusser quotes to view full size.